I'm learning to be gentle with myself when I am not able to grasp certain things right away like handling certain problems or issues. Understanding with depth the books that I'm reading. Helping other people completely. Trying to keep that perimeter open and yet also learning how to draw the line when I have had too much. Right now I attend counseling & mentoring sessions with a lovely woman named Agnes. She has been instrumental in helping me cope with the difficulties in the work place. It was through her that I've realized how intensely repressed I have been & how a lot needs to really be sorted out. I am grateful because I know that I need time away to sort things out. I know I need to forgive a lot of people who I've felt robbed so much of my time & made so many moments so difficult to handle. I know that I am no longer standing in the right posture and I've been warped & bent to an almost unrecognizable shape that straightening me out again will not be as easy. I have forced myself into this posture like how Chinese women in their ancient ways were forced to bind their feet to fit into those tiny shoes. Yes. That is exactly what I feel. But I am grateful that there are people in my life who have encouraged me to take this break and just stretch my legs. Breathe. Sigh. Cry. Smile. Somewhere during the past 5 to 6 years, I found myself so incredibly exhausted with so many things. Exhausted as a youth minister and exhausted as a leader. Now it is this exhaustion that has led me to a desperate search for redemption. 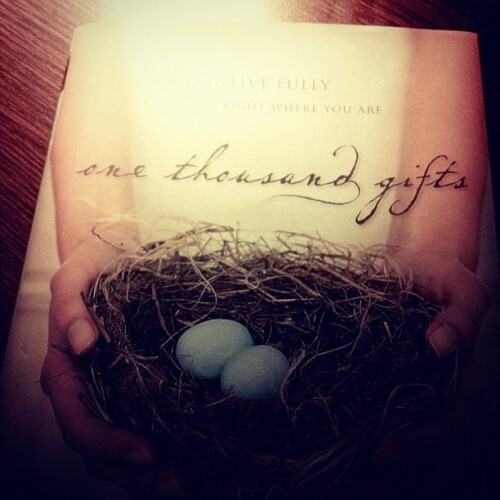 And I find my way back to Ann Voskamp's book which I've read 5 months ago. I plan to read it again, slowly and attentively this time and hope that together with all the other women who have found grace in God's goodness, I too will find it soon. 1000 Gifts. The List. Beginning. Touched by conversations with Jennifer last weekend. 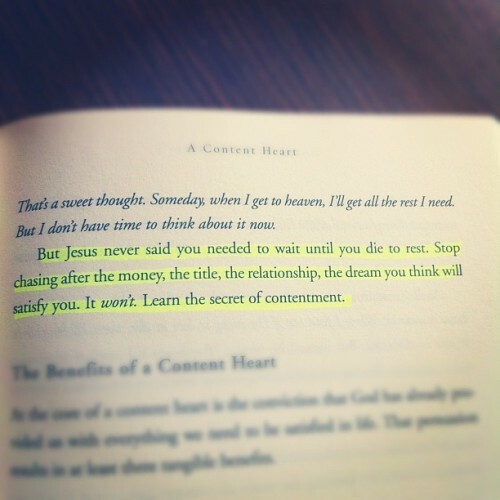 Following her blog & realizing God's heart for me. Chatting with Toni & receiving encouragement. An easy last day at work last Wednesday without interruptions. Planning workshop with friends who needed my help. I shall close with this song in mind tonight. For all those people who have lifted my heart this week and see me through.